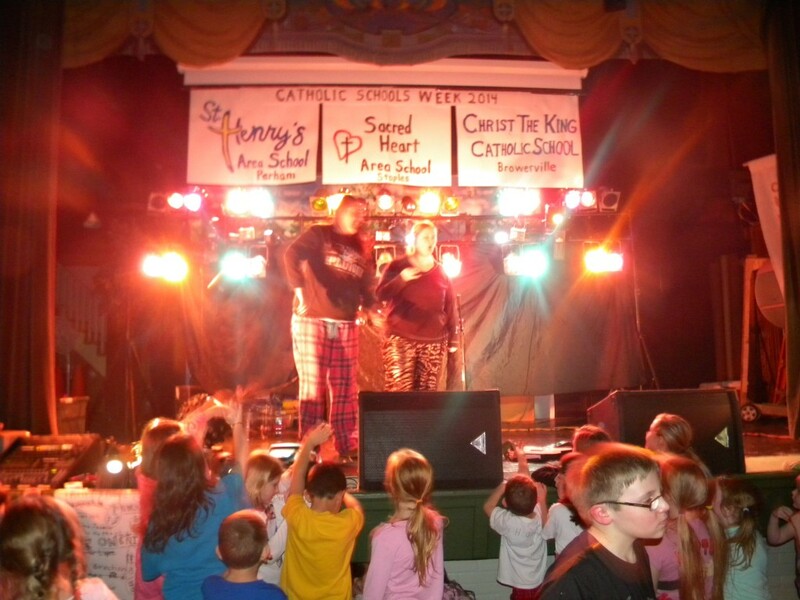 We had a fabulous time with this year’s Catholic Schools Week (CSW), with fun themed days and our community dance Wednesday evening. 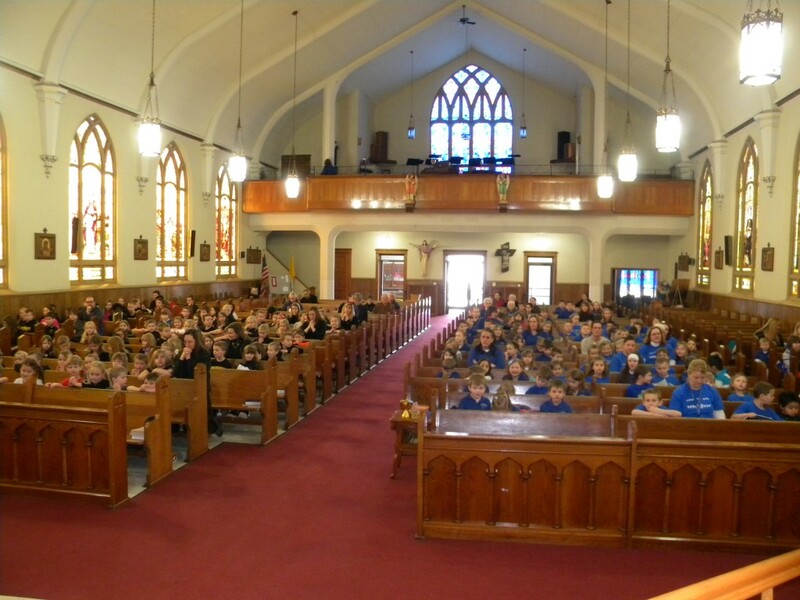 Thursday, we enjoyed the day with students and staff of Christ the King School of Browerville and Saint Henry’s Area School of Perham, celebrating with Mass, dancing, and a lyceum by the U of M Raptor Center. 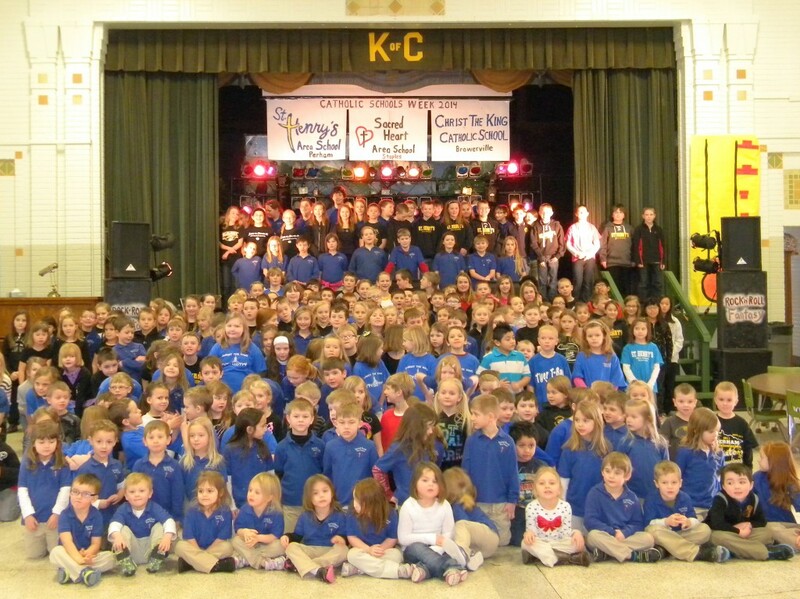 We want to thank everyone who made our Catholic Schools Week Kick-off Masses such a great success. 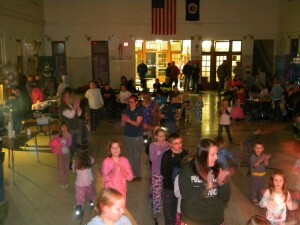 Our students did a fabulous job with their mass parts and families with the spaghetti dinner and pancake breakfast. Thank you to all who participated in this week’s events. Below are a few photoed highlights. 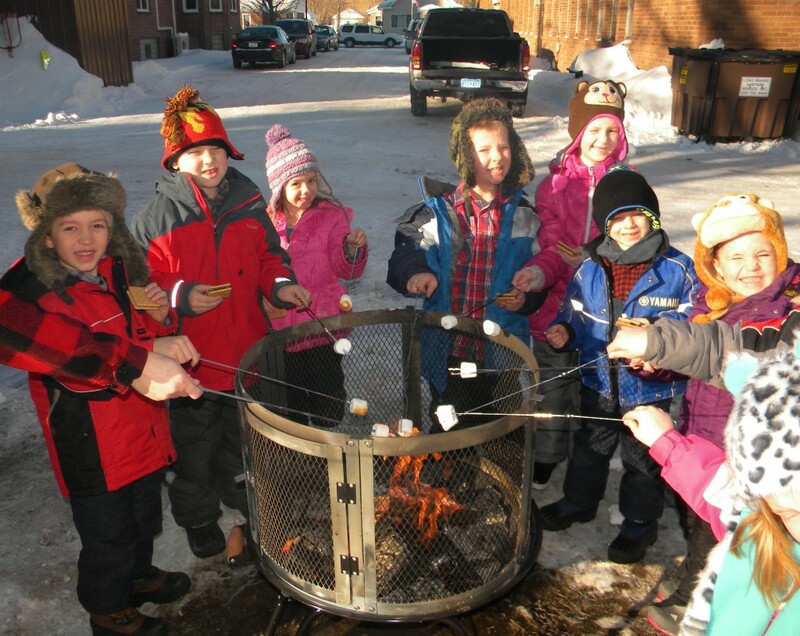 Last Thursday (January 30th) students from St. Henry’s Area School of Perham and Christ the King Catholic School of Browerville visited the students of Sacred Heart Area School for a day of Catholic Schools Week celebration. 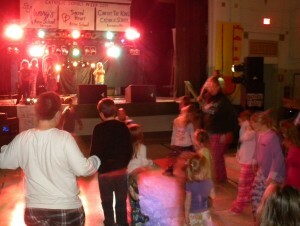 This day started with Mass at 10 am (see photos below), which was followed by a dance (pictured above) for recess time. 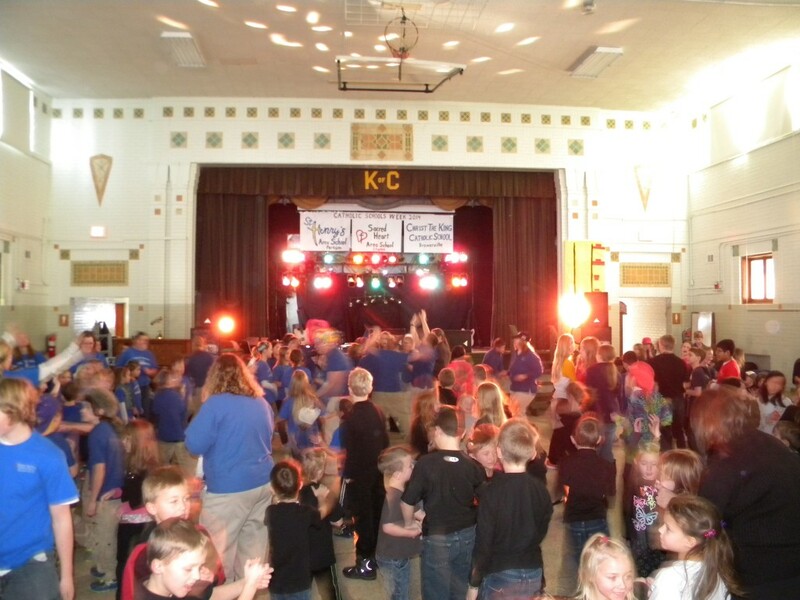 After the dance, the students enjoyed a sack lunch with other students of their grade level. 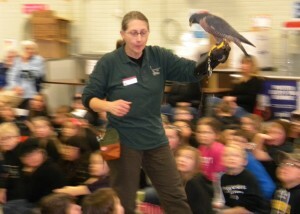 Finally, the day was highlighted with a lyceum produced by the University of Minnesota raptor Center. 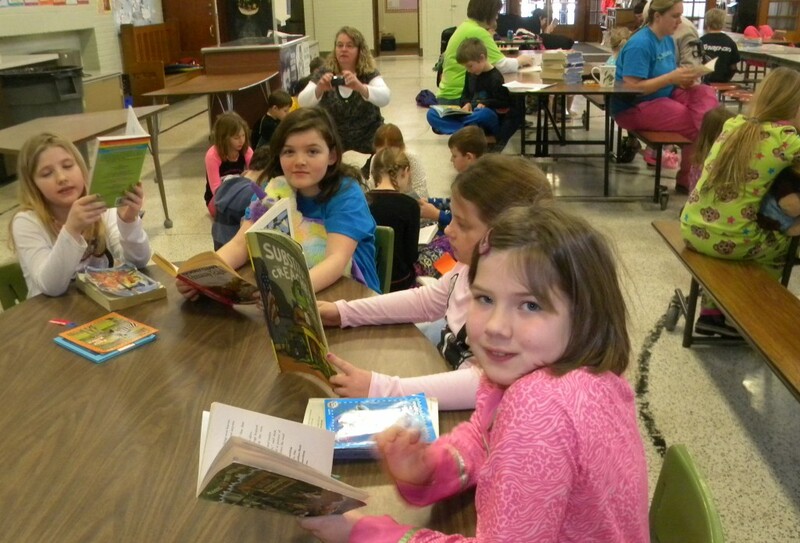 It was a fabulous day enjoyed by all! 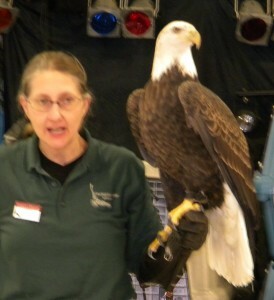 Students were fascinated with the various raptor visitors, including a kestrel, barn owl, screech owl, peregrine falcon (left), and bald eagle (below). 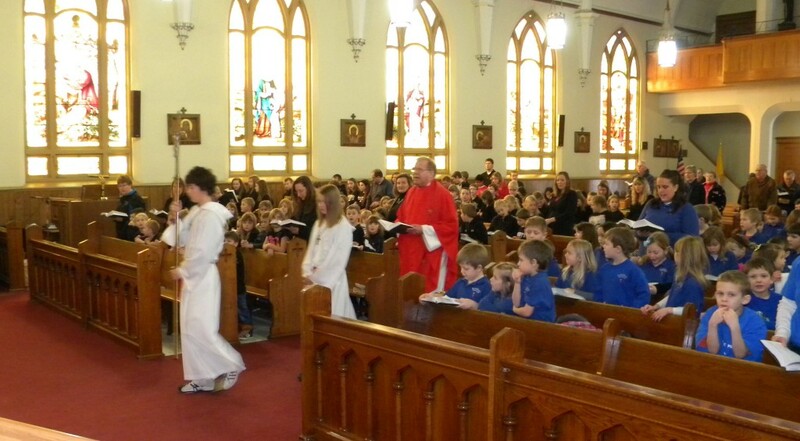 It was wonderful celebrating our faith together at Mass!